Three posts in 3 days, a record I believe! I have been looking forward to the release of this ruleset. 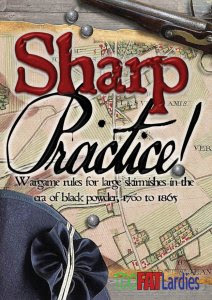 I had never played Sharp Practice 1, it sounded a little iffy and complicated but Sharp Practice 2 sounded like just the thing. From what I understand from those who know better than me, it is a revolution from the initial version taking much from Chain of Command and Dux Britanniarum for this complete rewrite. Hopefully I will get in a game within the next couple of weeks and in preparation for the same I have been realigning my French Indian War forces to play the game. I already had put a British force together for Muskets and Tomahawks and after a look through the rulebook I felt it best to put a late (1756) British Regulars force together. 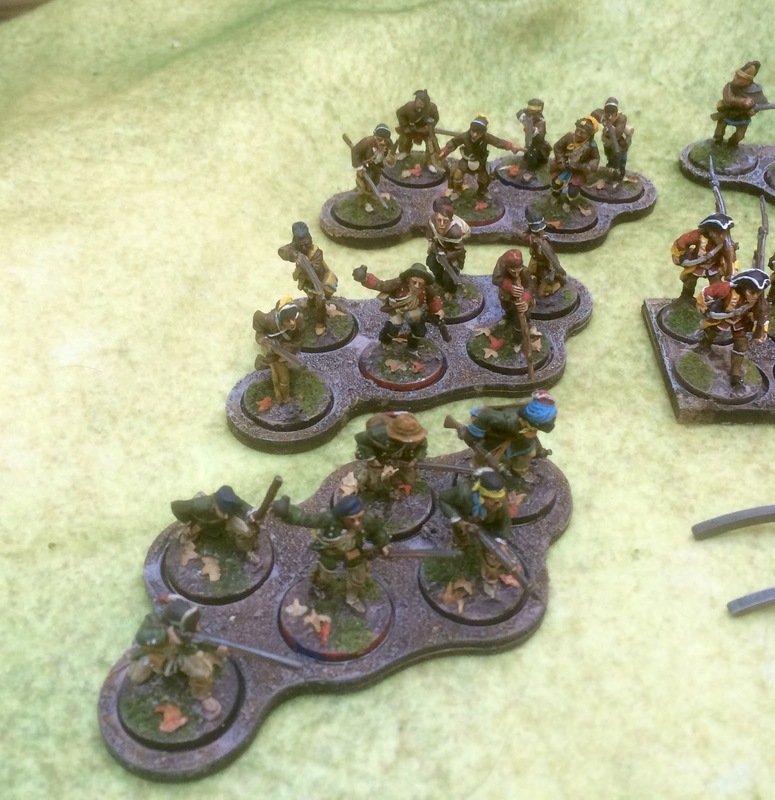 I needed to paint only 6 more British infantry and 6 more Indians to field this unit of 3 Status II leaders, 1 Status I leaders, 2 units of 8 British Infantry, 1 unit of 6 Colonial Rangers as well as an Indian force of 12 figures. I have figures to supplement this force with 2 more units of Colonial Rangers as well as a 10 figure unit of Colonial Militia. 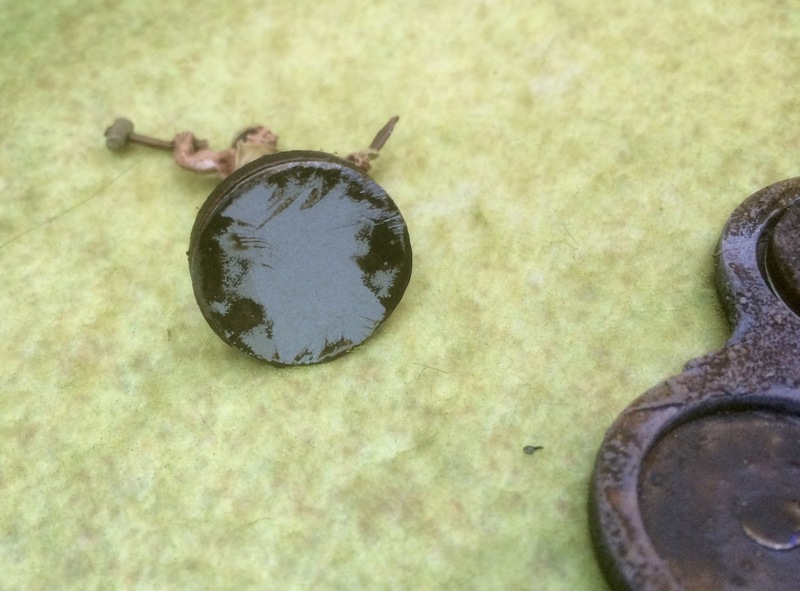 Like Chain of Command, there is support lists that include artillery, priests, musicians, standard bearers, water carts, ammunition carts, engineers etc etc. In anticipation of this, I also acquired some carts from Warbases UK, as well as some sabots. 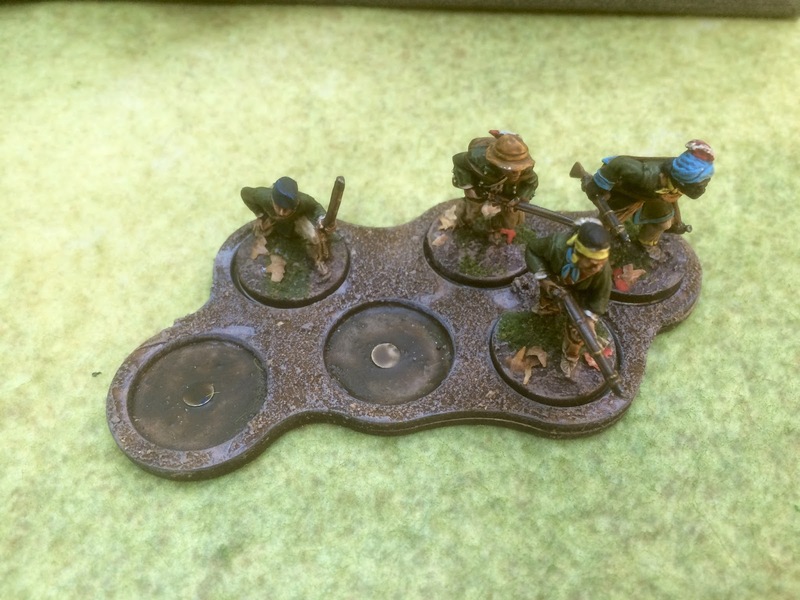 Over the last couple of weeks I have painted up these additional figures and carts. Leaders, the proverbial Big Men! Engineers Cart (list 5), need to find some engineers. 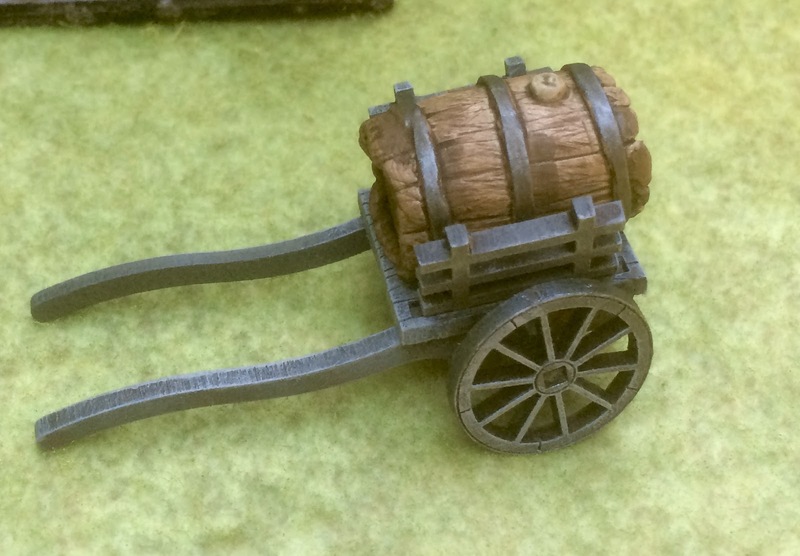 I am really impressed with the carts from Warbases, easy to put together and look quite good for something made out of mdf. They really are a first class company. Well priced (especially now with the plunge in sterling), rapid delivery and brilliant over all service. Well that will be it for a while. Very nice, I will await your thoughts after the first game to see what you think, I too am interested but having tried to play the first one and binned it due to being over complex I have not rushed headlong for this version. I think there is a lot of chrome in this ruleset making it appear more complicated then it is. We will just have to see how it goes. Hello John, I too am interested to see where you go with this because I just could not get my head around SP at all! I think it was partly the flowery language - "fisticuffs" etc - although I did get the Big Man concept and the leadership qualities. I felt after the first read through that they were not for me, but I do like the skirmish level games where you don't need hundreds of figures to play. I like your forces very nicely done and very practical. Warbases do make some lovely MDF bits and pieces, I enjoy browsing through the catalogue and can never resist ordering something. Anyway, I'll watch this with interest, the FIW is not a period I have done but it's always interested me. All the best John. Thank you Lee, we will have to see the book is a little daunting but hoping to take it in stages and we will see how it goes. Are you aware that Warbases can also supply round MDF bases (same size as a penny) precut with a magnet hole. Married with some 2mm magnets they can take the place of UK pennies if these are in short supply. Thanks Jim, I am aware and actually have a bunch of them. Most of these figures were based some time ago, and I was not keen to rebase them. A wonderful looking force John. I'll echo your praise for the carts from Warbases - first rate stuff. No question about it Curt. Now has not one of your gaining buddies been reporting on some SP2 games.